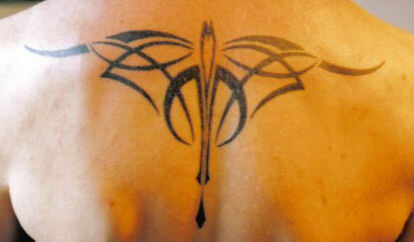 Tootall pinstriping is also able to offer a complete tattoo design service. 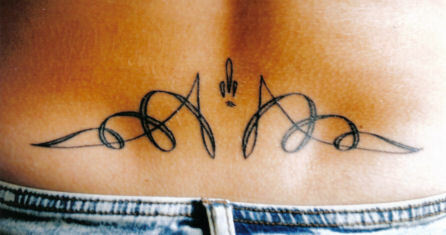 It is recommended that you find your tattooist first, as this allows the design process to become a 3 way partnership. In this way we are able to produce a design that you are happy with and that your chosen tattooist is confident that he or she can reproduce. Designs can, after proofing, be e-mailed directly to most tattooists. The tattooist can then print the design directly onto the transfer paper which is then placed on your skin to transfer the design. It is suggested that if you are considering a pinstripe based tattoo design, you think about the differing fade rates of various colours. For example, red will fade faster than black, so in years to come, you may find that you are losing part of your design.